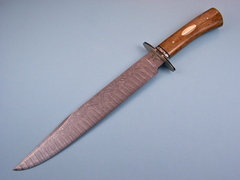 A very nice Bowie by "Living Legend" maker Jerry Fisk. 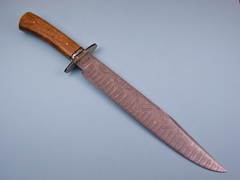 This Bowie has very nicely colored Giraffe Bone handles. It is also marked with Jerry's rare "Arkansaw" Logo.